Automation expenditures in the process industries reached $45.5 billion dollars in 2007 and is forecasted to exceed $61 billion by 2012, according to ARC Advisory Group's study “Automation Expenditures for Process Industries Worldwide Outlook." However, during the last quarter of 2007, the economic landscape changed quickly. In fact, through most of 2008 and into 2009, the global economy has been hampered by the deepening economic crisis. Several economic trends threaten to adversely affect automation growth in the process industries through the forecast period. 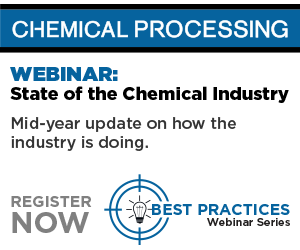 However, process industries are suffering less than discrete industries during this downturn because the process markets do not rely as heavily on consumer expenditures. Many governments have also allocated billions of dollars in economic stimulus that focuses on rebuilding, retrofitting, and developing new infrastructure projects. This money is expected to benefit the process industries more than discrete or hybrid industries, which may mean that process industries will be some of the first to emerge from the recession. Regionally, suppliers can expect to see the largest growth in the Middle East, due to its high concentration of oil and gas activities, and in Asia, where in-vestment in new plant construction in core sectors remains steady. In the mature North American and Western European markets, suppliers will rely on replacement business. Latin America will see above average growth due to Brazil’s expanding ethanol industry and recent offshore oil discoveries, but will remain a relatively small market for process automation suppliers. In recent years, after several high profile accidents, the decaying U.S. infrastructure has become a primary issue for local and federal governments all across the country. Much of the infrastructure in the U.S. is over half a century old and ARC estimates that there is $65 billion worth of process automation systems that are nearing the end of their useful life. Industrial end users need to be aware that significant investments must be made in the existing control system infrastructure to get systems and plants up to date. The need to modernize infrastructure in the developed economies of North America and Western Europe will significantly affect overall automation spending over the next decade. For more information, visit: www.arcweb.com/res/auto-process.